Board Meetings: 2nd Wednesday monthly, 11:30 a.m., at 615 Seventh Street, San Francisco. 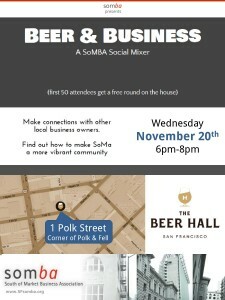 Interested in Hosting our next Mixer? Learn about the benefits of being a member of SOMBA. 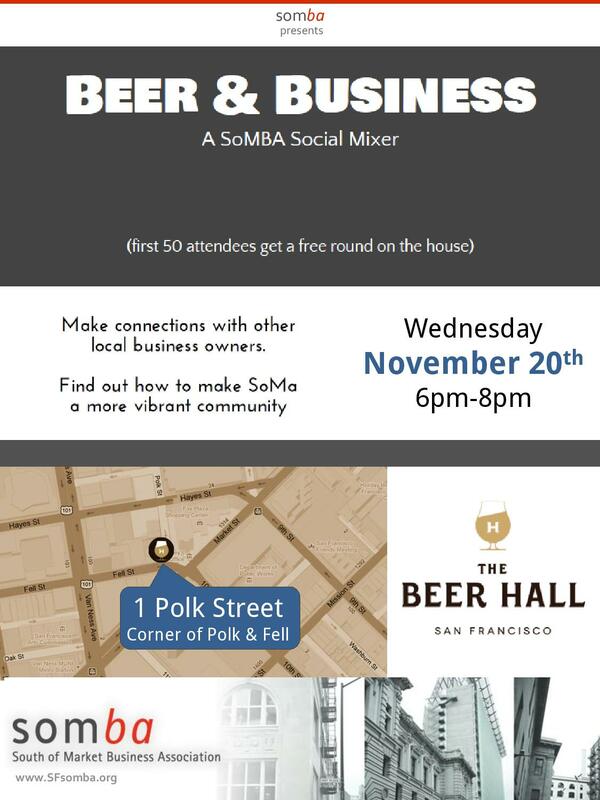 SOMBA | South of Market Business Association Copyright © 2019.